Arnie Ellingson has been a financial advisor for over 50 years, working with clients primarily in the Fargo ND and Moorhead MN metro. 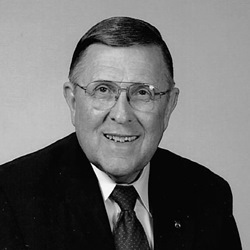 Arnie is an NDSU graduate, served in the US Air Force and has held numerous positions on a wide variety of College, Church, and Humanitarian boards throughout his career. He continues to work with clients out of the Fargo office.